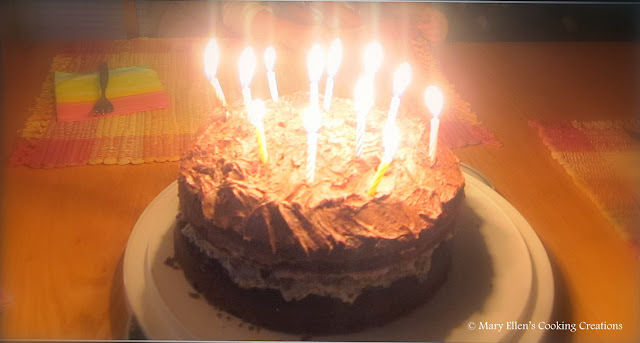 My dad is the baker of the family and is always making fantastic pies or cakes for birthdays and other holidays. So for his birthday last month I wanted to make something yummy for him, and his only request was chocolate. This recipe comes from the Kraft web site. I made two changes to the ingredients - first, I used homemade whipped cream instead of Cool Whip. I made the whipped cream by mixing 1 cup heavy cream, 2 Tbsp confectioner's sugar, and 1/2 tsp vanilla extract - a recipe my friend over at A Taste of Home Cooking shared with me when she came for dinner over the summer. Second, I used store bought chocolate frosting instead of making the glaze. This cake was so, so good. It was extremely rich, had the perfect amount of sweetness, and everyone loved it. As far as timing, I made the cakes in the evening and let them cool. I also made the whipped cream in the evening. The next morning I made the filling and put it between the layers of cake, and then frosted the top and stored the cake in the fridge for several hours before going to my dad's house. The cake really set and was beautiful when we sliced into it. Beat the cream cheese and sugar until blended. Gently mix in the whipped cream and cookies. Place one layer cake on a plate. 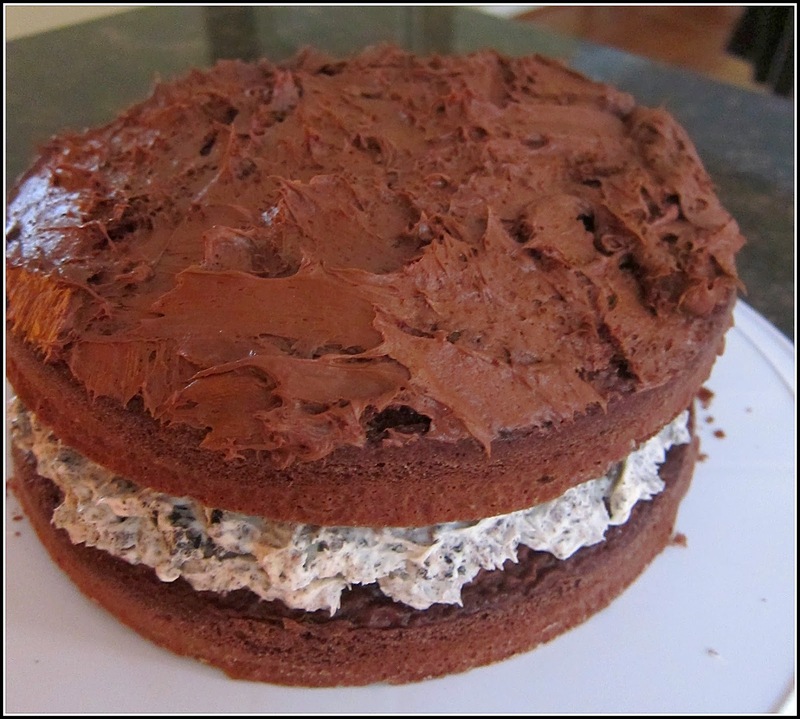 Spread the OREO cream mixture on top, and place the second layer cake on top. Top with the chocolate frosting. My tip: refrigerate for a few hours to "set" the cake before serving.